For many with acne, the pesky bumps that come with the territory can be an endless source of frustration. The symptom of the acne condition appears on the skin as pimples, whiteheads, and blackheads, each coming with their own set of problems when looking to eliminate. Typically, when a pimple appears on the skin, its natural course will run from anywhere between 3-7 days before disappearing. 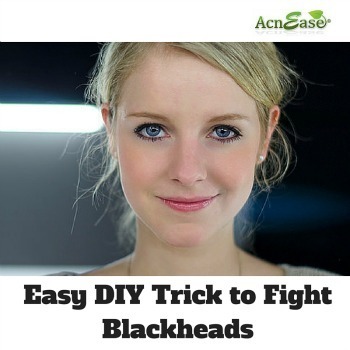 In the case of whiteheads and blackheads (a form of acne), however, the clogged pore never quite reaches an inflamed state, making it much harder to treat, or even temporarily conceal with makeup or spot treatments. Many are tempted to pick at or squeeze the infected area, which can lead to irritation or even infection. Others reach for a more harsh solution to remedy their woes, turning to pore strips, or even chemical peels to erase these annoying occurrences. What many people don’t know is that an easy and effective alternative can probably be found right in their own kitchens. Salt is an antibacterial agent that helps cleanse and unclog the pores. People have been turning to the antibacterial properties of salt to treat their acne for thousands of years. Ancient Egyptians would use water from the Dead Sea, known for having a high saline content, for its skin clearing benefits. With a coarse grain, salt works as a wonderful, natural way to remove dead cells from the skin, an essential step in avoiding acne breakouts. Paired with excess sebum, an oily substance, dead skin cells can lead to clogged pores, which then oxidize, leading to blackheads. Exfoliation is an important step in the ritual of keeping skin clear and smooth. Lemon juice contains citric acid which helps fight off germs and bacteria, thus cleaning the skin. As blackheads are actually clogged pores still open to the air, unlike a pimple or whitehead, which are both closed by the skin, the citric acid can actually pull dirt and grime from clogged pores that commonly lead to breakouts. With antiseptic properties, the juice of a lemon can work as an astringent when applied topically to targeted areas of the skin. Lemon juice is also rich in vitamin C, and works as a natural and safe alternative to chemical solutions in addressing dark spots or sun spots. Warm water helps open up your pores, allowing the previous ingredients to get in there and work their magic. All together, it’s like an expensive chemical peel but not nearly as bad for you. To make the mixture, just follow these simple steps! In a small bowl, mix 1 tablespoon of sea salt, 1/2 a teaspoon of lemon juice and 1 teaspoon of warm water. Using clean (washed) hands, apply the mixture to a freshly washed face, applying more to the area with blackheads. Next, using a clean cloth soaked in warm water, slowly work the mixture into your skin in a circular motion like you’re waxing a car. Wax on, wax off. Massage ONLY the affected area of your skin with the warm cloth for 5 minutes. Rewarm the cloth if it starts cooling off - about a minute in the microwave will do. Be sure to gently massage, rather than rub the skin, as harsh scrubbing may cause micro-abrasions. Allow the mixture to sit on your skin for another 5 minutes, then wash your face off with warm water. Apply moisturizer after. If you care for more of an exfoliating experience, try pouring table salt directly onto the cut surface of each lemon half. Knead the half to loosen up any lemon juices, and rub directly onto affected areas of the skin for a soft, clean finish. This recipe may cause irritation for those with sensitive skin, so we don’t recommend it for those with sensitive skin or for those who have open cysts. As always, keep your skin in mind when attempting to do any at-home treatments, and remove immediately if irritation occurs. This mask recipe is intended to aid as a supplement to your established skincare routine, and is not a permanent solution, but serves as an affordable, easy, at-home DIY trick to target stubborn blackheads. It is important to remember to apply this scrub to the affected areas only, and always be sure to use a clean towel, hands, and face when applying. While dirt, grime and bacteria can clog pores, leading to breakouts, acne is typically the result of a hormonal imbalance, causing the sebaceous glands (which control oil production) to go crazy, which is why it is important to treat the problem from the inside, as well as out. AcnEase® works to manage the relationship between hormones and sebaceous glands, allowing the glands to produce oil at a normal rate, naturally eliminating acne symptoms and simultaneously preventing new breakouts. AcnEase® is an all-natural, herbal acne treatment that stops acne before it starts by counteracting the effects of hormonal imbalance and the overproduction of sebum, making it a safe and effective solution for all of your acne concerns. Give it a try and let us know what you think! Tell us in the comments below!